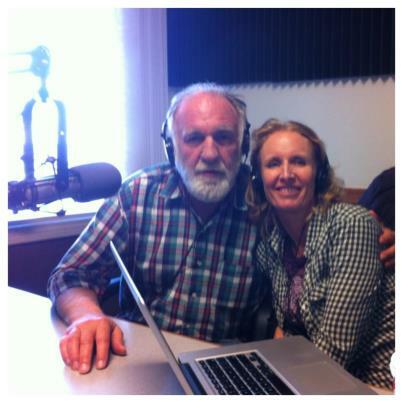 Several weeks ago I had the pleasure of being a guest on Kid Connection, a new radio program devoted to Central Coast children and their families. The show is broadcast over KVEC every Sunday morning from 9:30-10:00. It is hosted by Caity McCardell, who besides being the mother of two children, is also a radio host of the first magnitude. I have been interviewed many times but this session with Caity marked the first occasion I have been so comfortable in a Q&A situation. She had, as they say in the trade, “done her homework,” and done it thoroughly. Her observations on “Fire Truck!” and “Strolling in My Stroller” were clear and intelligent. I had no choice but to respond the same way. Thank you, Caity McCardell, for conducting an interview that felt more like a play date. Thanks in part to format changes at our local flagship station (KYNS 1340 San Luis Obispo), Treasure Ivan will air a rebroadcast this weekend. You can still tune in Saturday & Sunday at 7 am — even if you’re not on the central coast, you can stream KYNS online. In the meantime…we’ve been preparing to rehouse and catalog the Treasure Ivan Treasure Trove. At the center of the collection are hundreds of hand-picked 78 rpm children’s records from the first half of the 20th century, collected by Ivan over his lifetime of musical appreciation. Any storage solution needs to be a compromise between conservation and access, since the collection is still in active use for Ivan’s weekly broadcasts. 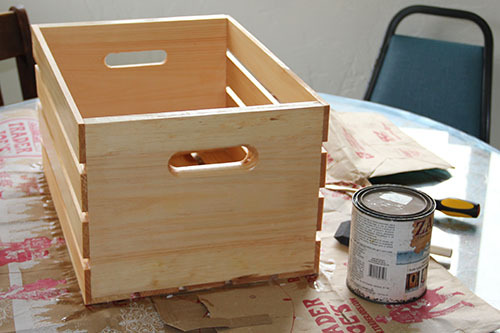 After researching the options, we settled on wooden crates housed in metal shelving. Because wood is a volatile material, it leaks chemicals (off-gassing) which can harm delicate materials — like vintage paper record sleeves. To reduce this problem, we will seal the wood with water-based polyurethane. In addition, each record will be wrapped in a poly sleeve, and packaged along with its original paper sleeve in a second, sealed poly bag. 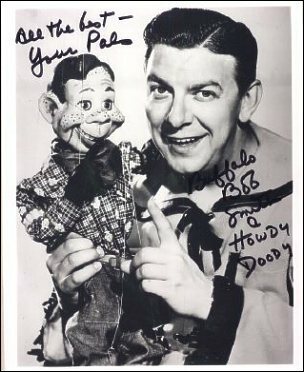 So begins the next Treasure Ivan Show when Buffalo Bob reunites with the Peanut Gallery to give a behind-the-scenes look at the Howdy Doody Show. The kids are all grown up now (20-somethings) and they gather at Fillmore East in 1971 to hear this incredible hour-long tribute to the earlier days of television. This program is mostly about space ships and rocket travel as perceived before the moon landing of 1969. The songs we selected are from the 1960’s but the story records are all tied to the 1950’s. There is a definite difference in space awareness in those two decades. Listen for yourself. 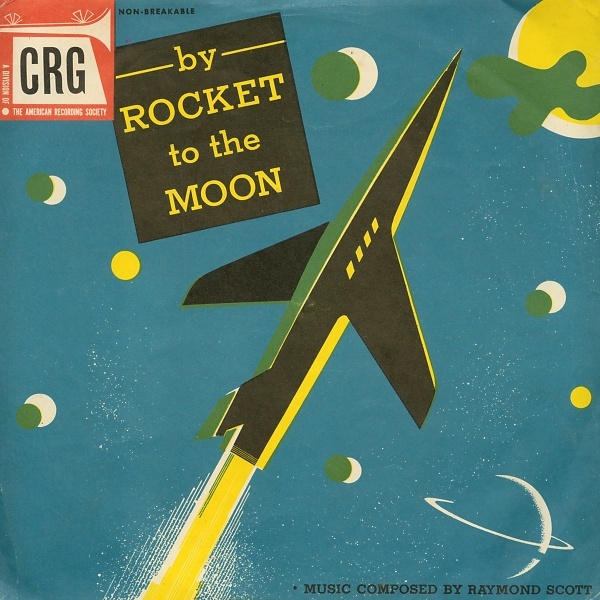 This was the first science record released by Young Peoples Records, in 1951. 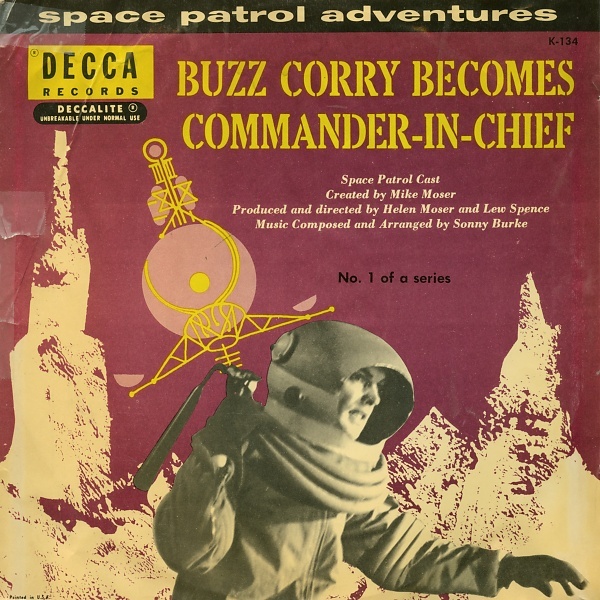 It was described as “an exciting musical presentation of many of the important facts of elementary astronomy…but most of all the record is good fun.” It was also the favorite childhood record of Barry Hansen, who grew up to be the zany musicologist Dr. Demento. 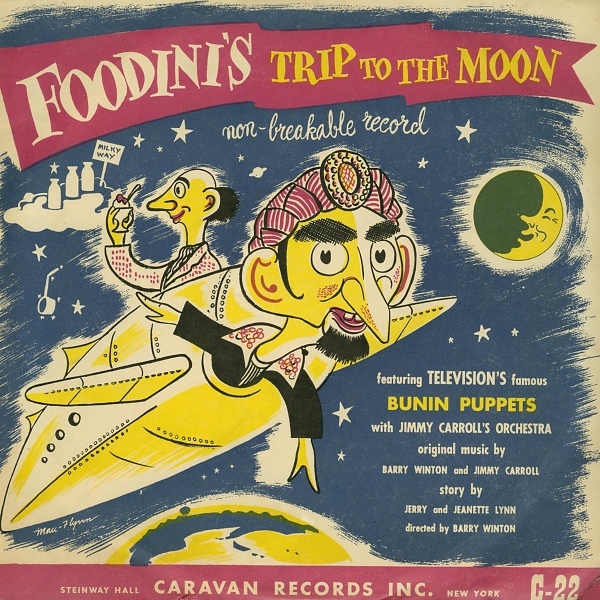 Foodini was a puppet character from the earliest day of television. Before there was Howdy Doody, Rootie Kazootie, or Kukla, Fran and Ollie, the endearingly arrogant Foodini and his pal Pinhead entertained children until more well organized shows came along. In the 1950’s, MGM Records adapted the cartoon adventures of their famous cat and mouse duo and created a series of 6 phonograph records for children. They sold lots of records and provided hours of imagination stimulus for countless girls and boys. This week’s show is a random bunch of treasures from the Treasure Ivan Treasure chest. One of them — Tom and Jerry and the Fire Engine — was all I wanted for Christmas when I was 7 years old. This is my favorite of the several Tom and Jerry records released by MGM records in the early 1950’s. There are no credits as to the people who created this series, but the records retain all the excitement of the famous cat-and-mouse cartoons. 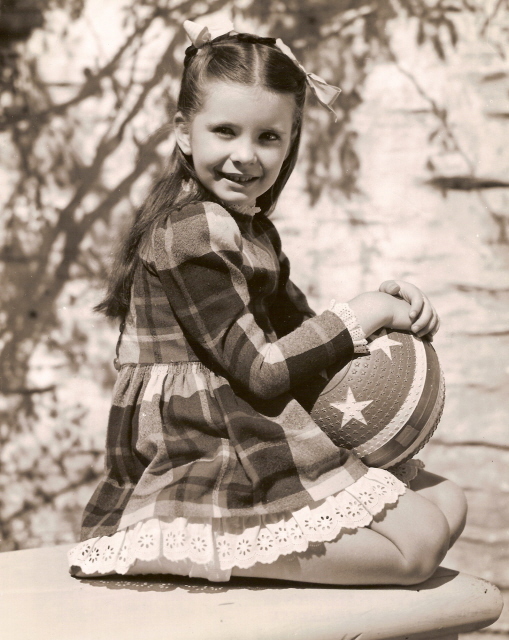 Margaret O’ Brien was a very popular young movie star during the 1940’s. She was featured in “Jane Eyre,” “Little Women,” and co-starred with Judy Garland in “Meet Me In St. Louis.” She received an Academy Award for Outstanding Child Actress of 1944 and still appears in films and television. 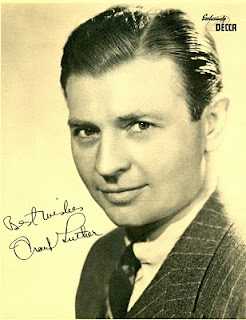 Frank Luther tells this well known tale for children and has some very catchy songs to go along with it. Cak-cak-cak-ca-dak-et is the sound of the little red hen as she does her chores without any help from others. 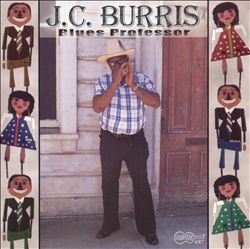 This recording was released by Young Peoples Records in the 1950’s. 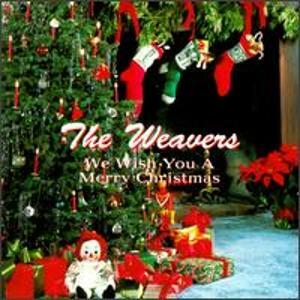 Will Geer (Grandpa on “The Waltons”) tells the story and Tom Glazer (“On top of Spaghetti”) sings the historical songs. Based on “The Noisy Book” by Margaret Wise Brown and narrated by Norman Rose, this is the story of a little dog named Muffin who has a bandage over his eyes because of a recent mishap. He cannot see a thing—but Muffin can hear! 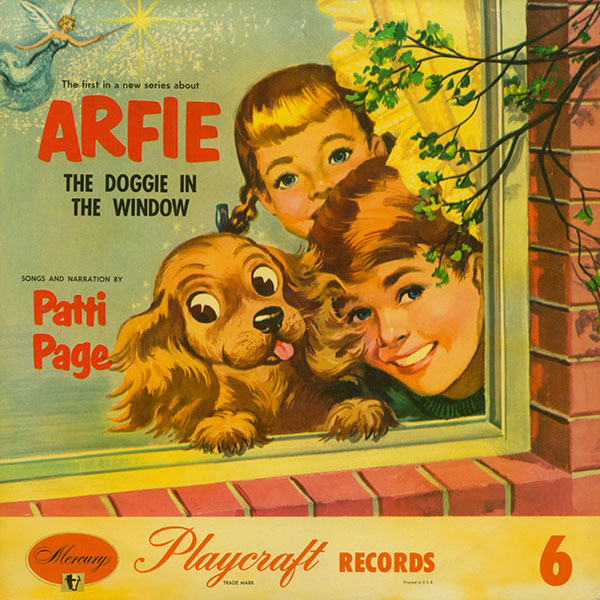 After “How Much Is That Doggie in the Window” became a million seller for Patti Page, she made an agreement with Childcraft Records to appear on a story record which tells what happened after that dog found a home. 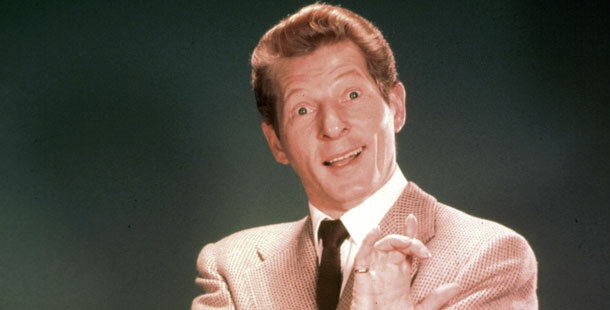 From 1942-1960, Art Linkletter hosted “People Are Funny” on radio, and then moved over to television. The premise was to send contestants out on something like a scavenger hunt, then trick them once they got there. This children’s record from 1950 is a parody of the show, with pets taking on the roles that were for people. The highlight is when Art offers a parrot a cracker, and instead gives him firecrackers. 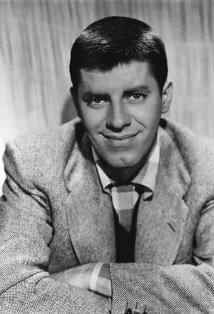 During the 1950’s Jerry Lewis made several children’s records for Capitol Records. All of them are a little strange by today’s standards, but that is what makes them fun. In this story, Jerry is an animal abuser who dreams he is a tormented puppy, and he awakens with full understanding of the Golden Rule. In 1970 I recorded an LP which was called “Ivan the Ice Cream Man.” The title song came from my experience in 1968 as a hippie selling ice cream man in Tulsa, Oklahoma. 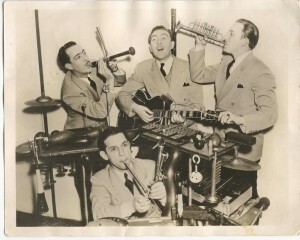 Imagine my surprise when 40 years later I was searching for my record on Ebay and stumbled onto this 1939 song of the same name by a group called the Kidoodlers. Because it is so bright and bouncy, this version is now the theme song for The Treasure Ivan Show. Lynne Farr was a writer and producer of countless television programs, most notably “The Bob Newhart Show” in the 1970’s. I have no idea what inspired her to write and record this song, but I’m sure glad she did. 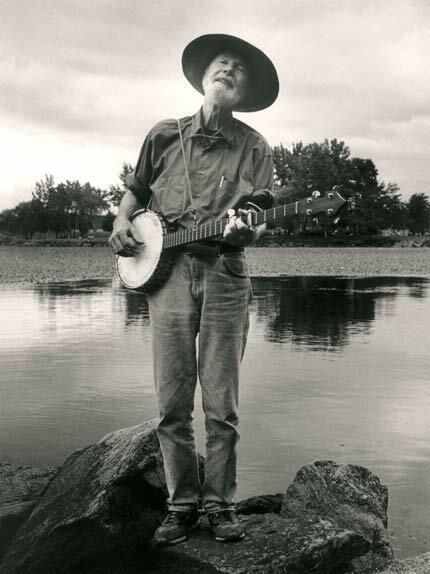 I saw Pete Seeger perform at the First Unitarian Church in Los Angeles while in my early teens and listened to his Folkways recordings over and over. Several years ago in New York, I had the privilege of meeting Pete at a book shop where he gave an informal concert on a Sunday morning. He signed my well-worn copy of “Abi Yo Yo,” turning one of my favorite storybooks into a real treasure. 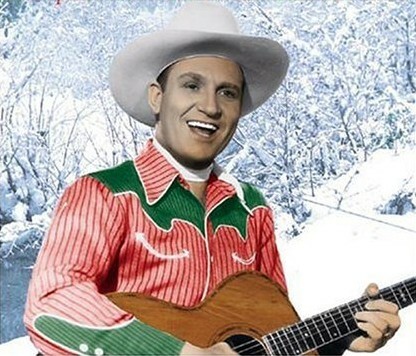 There have been many retellings of the Christmas story, but the 12-minute version Gene Autry recorded for CBS Records in 1961 remains my favorite. It is a no-nonsense version of the story of the Nativity, perfect for all youngsters regardless of religious orientation. “Pussycat’s Christmas” is based on a story by Margaret Wise Brown, author of “Goodnight Moon,” “Runaway Bunny,” and many other classic stories for children. The recording is narrated by Albert Grobe, music director for many years on New York’s classical music station WQXR. This is the only commercial record he ever made. 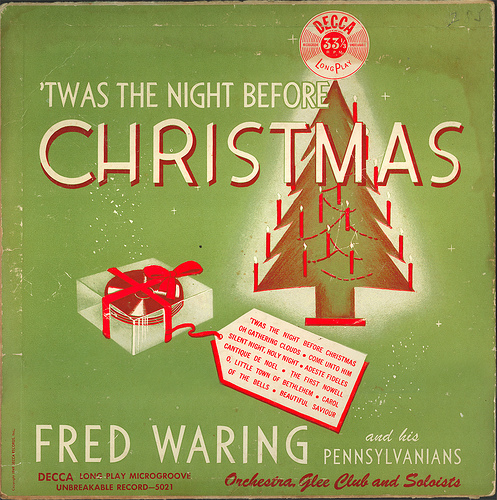 There may be Christmas records older than “Santa Claus Visits Children,” released by Victor in the early 1920s, but I haven’t heard them. Gilbert Girard stars as a Santa who recites nursery rhymes and does animal impression. Ireene Wicker was the Story Lady on WOR radio in New York City during the 1940s. She is totally unique in her approach to any tale. 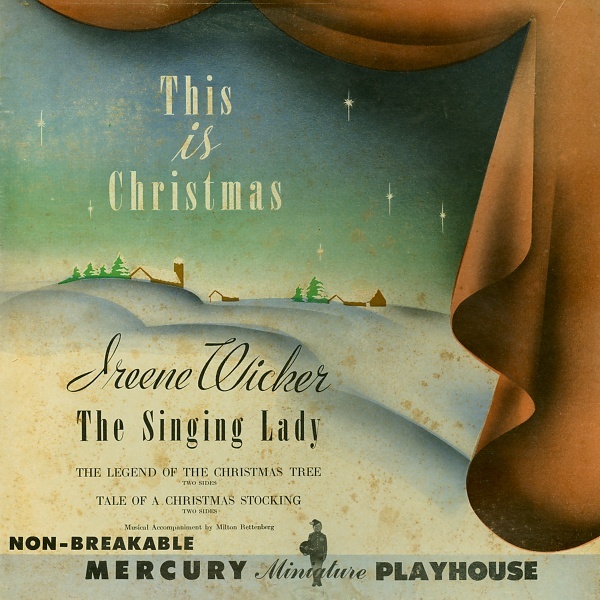 The “Tale of Christmas Stocking” is the perfect vehicle for Ireene to showcase her many voices — yes, every voice you hear on this recording belongs Ms. Wicker. You don’t have to be Jewish to love the Treasure Ivan Show. 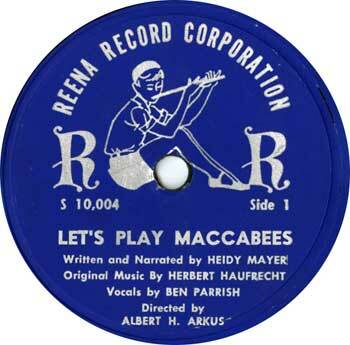 This edition is a celebration of Hanukkah, with Nancy Raven’s rendition of Woody Guthrie’s “Hanuka Dance” and Tom Lerher belting “I’m Spending Hanukkah in Santa Monica.” On a more serious note, you’ll also hear “Let’s Play Maccabees,” a recording from 1955 which is described “as a child’s participation album for Chanukah.” March around the room like Maccabee solders or lumber like elephants…this is an opportunity for everyone to enjoy the festival of lights. 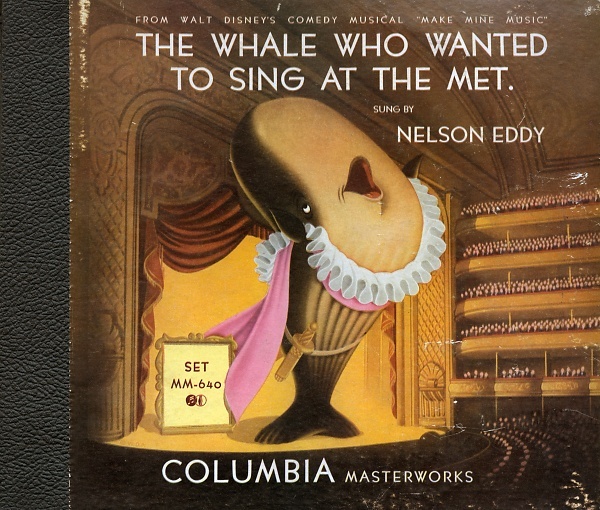 Also on this program is Nelson Eddy narrating and supplying all the voices for the 1946 Columbia album “The Whale Who Wanted to Sing at the Met.” There’s a preview of Christmas, with Vicky Dale’s “Are My Ears on Straight?” Finally, we have Danny Kaye’s delightful version of the frantic and frenzied “Triplets” from “The Band Wagon”. You must hear this one a lot of times before you will be able to sing along. Trains (sans Thomas) are what’s happening on this edition of the Treasure Ivan Show. 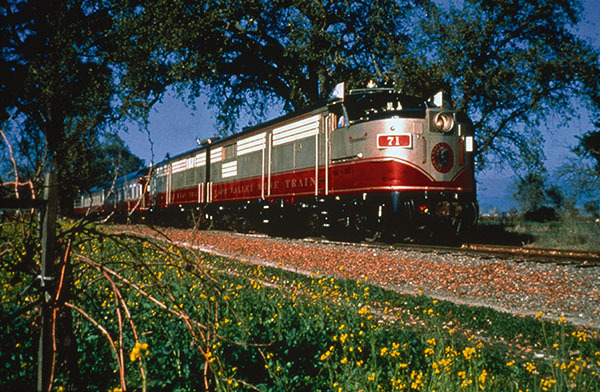 We open with Jerry Garcia’s rendition of “Freight Train” and close with Bob Dylan singing “This Old Man.” Little Feat’s Lowell George will be heard performing “Two Trains” somewhere in the middle of the program. 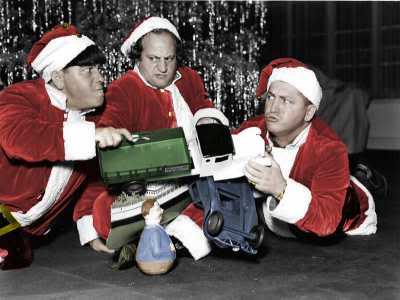 There are story records about trains by Ed Asner, Burl Ives, and Tom Glazer. Is this any way to treat a toddler? We say yes, and his mama and papa and grandparents too.